European Touch is celebrating a quarter-century in the beauty industry. An active developer and manufacturer of pedicure spas since its founding in 1985, the company has built and sold such products as the Murano, Rinato, Altera, Forte, and the original Omni Spa. Now, in honor of this special occasion, European Touch has introduced the 25th Anniversary Murano Spa Limited Edition. In honor of the occasion, European Touch introduced the 25th Anniversary Murano Spa Limited Edition. Designed with lush Russian tea upholstery, a chocolate brown base, and the classic glass basin in gold, the Murano Limited Edition will give a warm luxurious glow to any spa or salon. “Reflecting on our first 25 years in business, European Touch’s senior management team is deeply grateful to our distributors and customers for their willingness to incorporate our pedicure spas into their various businesses,” says Joe Veltri, European Touch’s CEO. “We also want to offer our heartfelt thanks to the company’s employees and their families, whose creativity, dedication and sacrifices allowed us to fulfill our customer commitments while also building a strong foundation for future growth. “Today, the company remains dedicated to our basic principles of quality, safety, and innovation and our desire to offer our distributors and customers value and a diverse product offering.” With a focus on becoming even more eco-friendly, European Touch continues its enthusiastic pledge to innovate and bring new products to the industry. “As proud as I am of what European Touch’s people have achieved so far, I am convinced that the company’s greatest accomplishments are still to come. With the continued confidence of our customers and commitment of our employees, our adventure is just beginning,” says Veltri. The Solution line of disinfecting chemicals and wipes are safe not only for clients and technicians, but for pedicure equipment as well. 1985: Development of the Omni Spa — the world’s first pedicure spa, according to the company. 2002: Introduction of the Solace Collection of pedicure spas. 2003: Design, production, and launch of the Crystal Clean pipe-free spa. More than 10,000 units have been manufactured since 2003. 2004: Design and production of the iconic Murano Pedicure Spa, incorporating a glass basin, adjustable calf rests, and adjustable basin for the comfort of the client and the technician. 2008: Designed Clean Touch pipe-free pedicure technology in conjunction with the Nail Technician Advisory Council (NTAC). 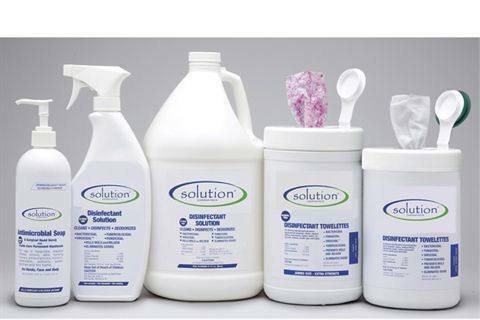 2009: Creation of the Solution brand lineup of disinfecting chemicals and wipes, created specifically to be safe not only to clients and technicians, but for pedicure equipment too. 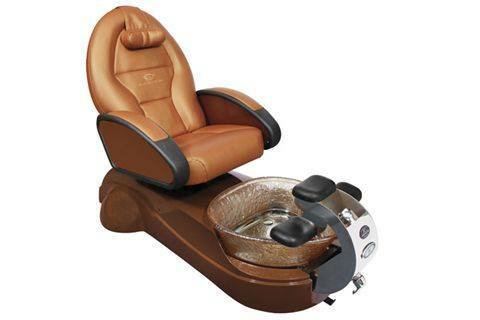 2010: Launched the Sogno Dreamwave pedicure spa. This full-body massage chair uses infrared scanning to measure each client and identify shiatsu acupressure points for over 100 body types.